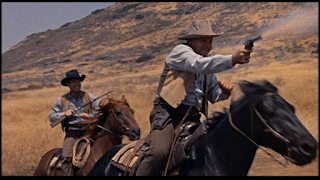 Ed here: This is one of my favorite B westerns. McMurray is especially good. So is the script.. 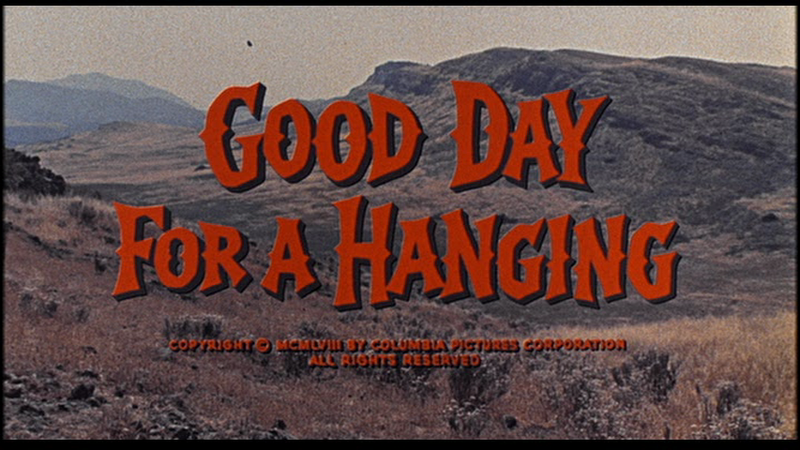 Anyone who thinks westerns are as simple as "good guy vs. bad guy" hasn't seen Good Day for a Hanging (1959), a grim western in which the evils of mob-justice gets turned on its head. this time, the town tries to overturn a death sentence and depose the new lawman. 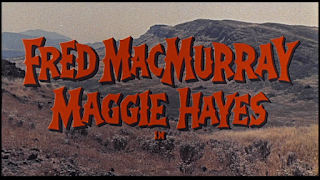 A pair of exciting, outdoor chases bookend what is mostly a somber chamber drama, gripping and understated, in which a widower (Fred MacMurray) puts on a badge and loses his daughter (Joan Blackman), his fiance (Margaret Hayes), and the town itself. Fred MacMurray plays a reluctant lawman and the only member of a posse who will testify that young bank robber Robert Vaughn killed the Marshal while trying to escape. MacMuarry's testimony, however, only fuels the town's bloodlust—they would rather see the kid go free. Even MacMurray's daughter (who carries a torch for childhood sweetheart Vaughn) and fiance won't stand by his side. 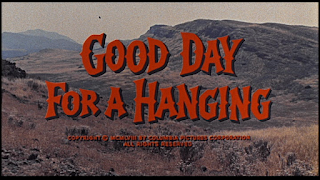 Seemingly in the tradition of High Noon, Good Day for a Hanging is different because it does not uphold the myth of the lone man with a gun. 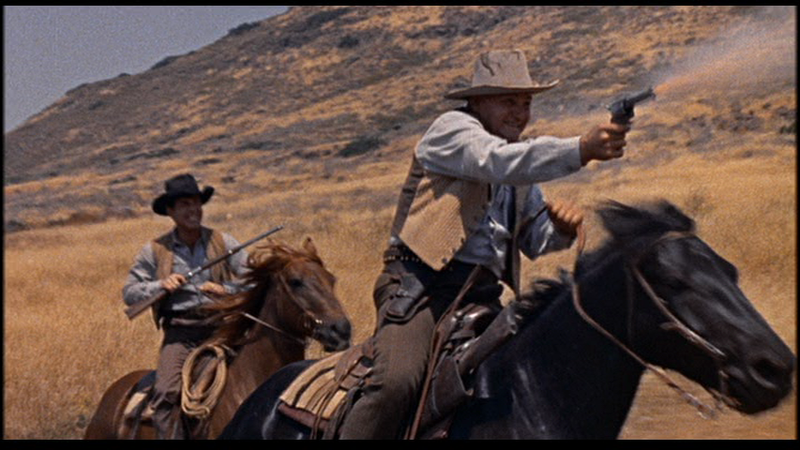 Unlike Gary Cooper, MacMurray's lawman tries to do things by the book; it is the social pressures of family and friends that push him to cave in and acquiesce to their demands. A deep sadness runs through Good Day For a Hanging. 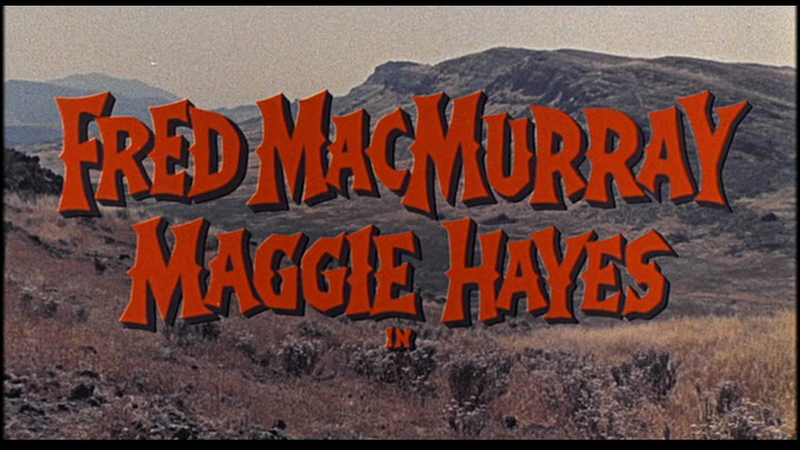 MacMurray, Hayes, and Kathryn Card (who plays the widow of the recently-murdered sheriff) have all outlived their spouses. 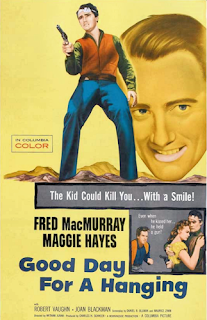 The children, too, are longing for a more complete family—Joan Blackman looks for it in Robert Vaughn (a symbol of childhood when things were better), and Hayes' little boy longs for a father and says he will grow up to be just like MacMurray, a double-edged sentiment that grieves the lawman. 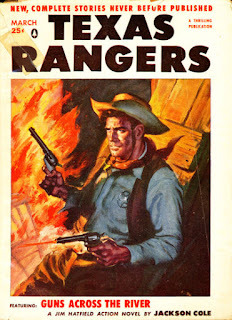 Superb ensemble cast with a strong script by Daniel B. Ullman and Maurice Zimm (Zimm also provided the story for Creature from the Black Lagoon), and is based on the short story "The Reluctant Hangman" by John Jo Carpenter (Texas Rangers, v62 #1, March 1956). 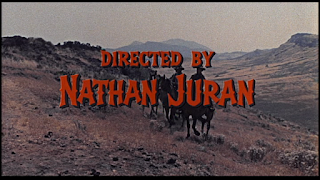 Excellently directed by Nathan Juran (better known for fantastic fare such as The 7th Voyage of Sinbad, Attack of the 50 Foot Woman, 20 Million Miles to Earth, and The Deadly Mantis, and who also won an Oscar for Art Direction on How Green Was My Valley) and photographed by Henry Freulich (whose career spanned 1929-1969 and over 200 credits). Below are screenshots from the Columbia DVD. Nice colors and anamorphic widescreen. Highly recommended.